Applications are being accepted through Wednesday, Feb. 6, for the Entrepreneurship Bootcamp for Veterans’ Families (EBV-F) program at Syracuse University, taking place March 8-15. 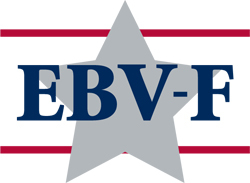 Modeled after the national Entrepreneurship Bootcamp for Veterans with Disabilities (EBV), EBV-F is an education and training program that integrates training in small business management for military family members with caregiver and family issues. It positions the family member to launch and grow a small business in a way that is complementary or enhancing to other family responsibilities. The EBV-F is operated by SU’s Institute for Veterans and Military Families (IVMF). The program is open to military family members now supporting a wounded warrior, surviving spouses of a military member who gave his/her life in service to the nation and spouses of active duty military. It is offered at no cost to accepted applicants. Phase III provides ongoing support and technical assistance from faculty experts, experienced entrepreneurs, resource partners and others through the EBV-Technical Assistance Program (EBV-TAP), helping program graduates realize their entrepreneurial goals. For more information on the EBV-F application process, contact IVMF admissions coordinator Katherine Frontino at kfronin@syr.edu or 315-443-8791. For more information about the EBV-F program, contact EBV and EBV-F national program manager Jared Lyon at jslyon@syr.edu or 315-443-6007.